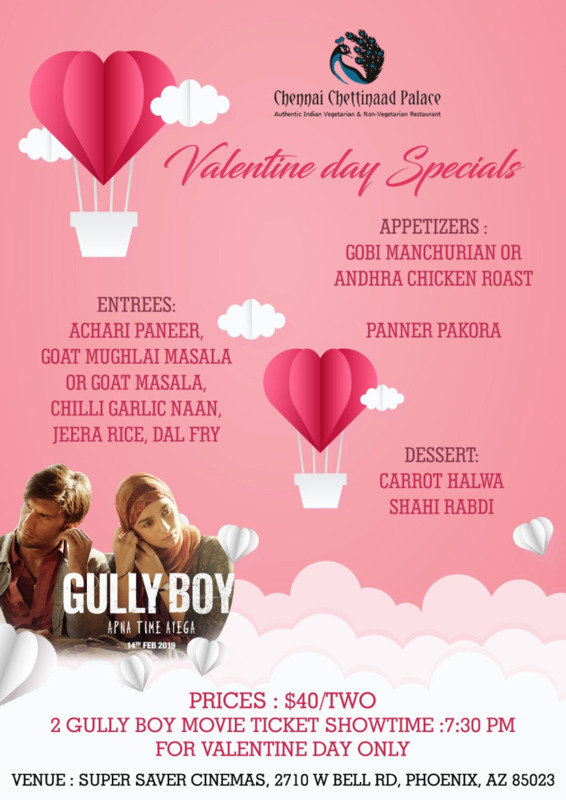 Show your love with special Valentine in your life, romantic date night dinner at Chennai and decadent Rabdi dessert. Plus 2 Gully Boy tickets for premier show. Restaurant open from 5 PM for all guests.